MyHeritage DNA Matching Update AND a New Chromosome Browser! 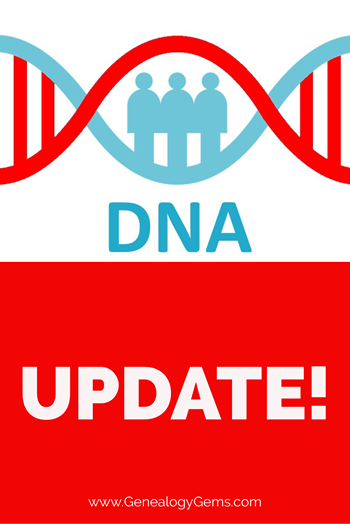 We have a MyHeritage DNA matching update! Not only has MyHeritage DNA released a much better matching algorithm, the company that lets you upload your DNA for free has also introduced a chromosome browser. Your DNA Guide Diahan Southard shares the good news—and a quick introduction to her favorite matching tools on MyHeritage DNA. In my first job as a grocery store clerk, I learned that most customer service issues can be solved if you listen carefully to the customer and do all you can to make it right. This is what MyHeritage has done. Now in January of 2018, all that patience has paid off. 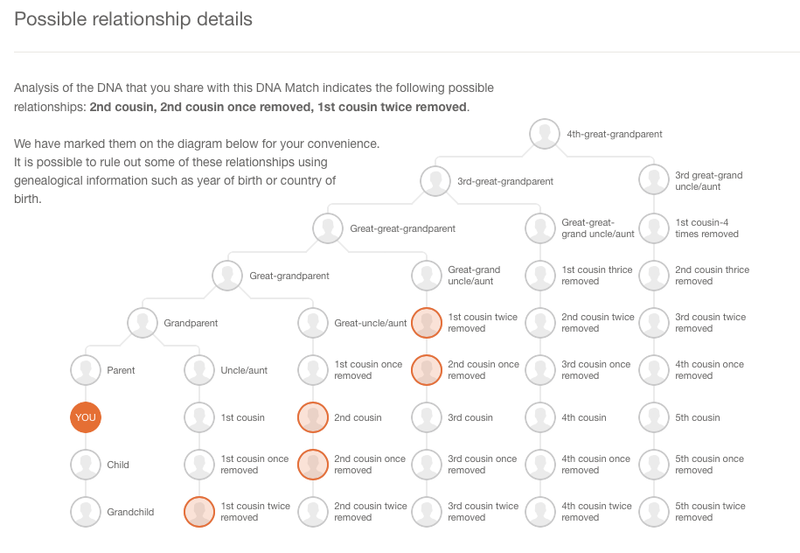 MyHeritage has updated its matching algorithm and recalibrated all the DNA matches in their system. The result is a much more robust depiction of our relationships with others in the database. Most users are seeing a dramatic increase in the total number of matches, and a significant decrease in the number of false positives, or matches that are on your match list but shouldn’t be. 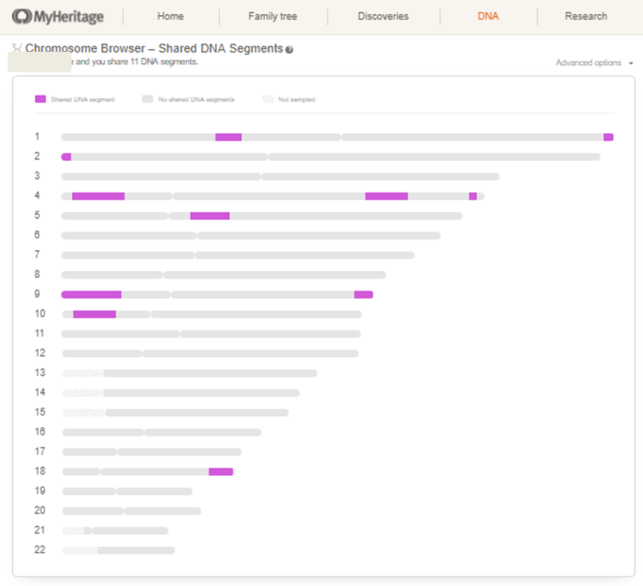 Additionally, to the delight of many genetic genealogists, MyHeritage has launched a chromosome browser. This tool allows you to see the locations on the DNA that are shared with your match. Many genetic genealogists like to use this tool to help them visualize the shared DNA, and group their DNA matches. Now that the matching algorithm has improved, I’d like to recommend three great tools you should be using at MyHeritage to help you identify your genetic matches. Yes, one of them is the chromosome browser–but take a look at these others, too. And take note: you won’t find these exact tools at AncestryDNA. In a recent blog post, I described how you can narrow down your possible relationships to your genetic matches by comparing your total shared DNA to a table developed by genetic genealogy experts. MyHeritage DNA simplifies that process for you with a customized chart for each of your genetic matches. Each chart visually shows you all possible relationships, even taking into account factors like your age and gender. In addition to the range of possibilities above, you can also be misled by the total amount of DNA you share with your genetic matches. Yes, you might actually be third cousins. But if your ancestors lived in a community that intermarried a lot because they were isolated geographically or culturally, you might also just share a lot of common DNA. You might be sixth cousins three times over. The size of the biggest piece of DNA you share with a genetic match is really important for puzzling this out. Let’s say two of your genetic matches each share 30 centimorgans of DNA with you. 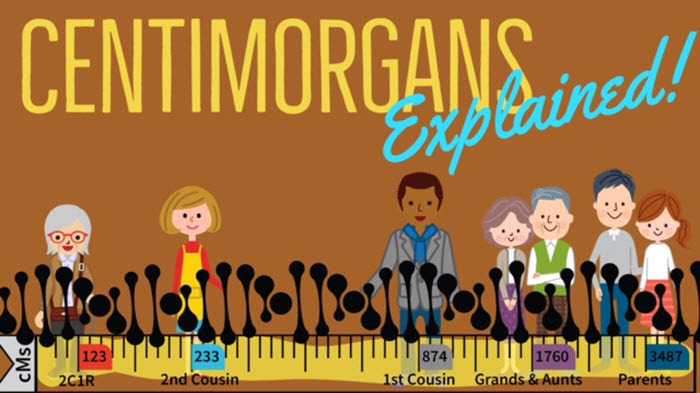 Both are predicted to be your fourth cousins, but one person’s longest shared piece of DNA is 18 centimorgans long, and the other’s is 9 centimorgans long. The closer match–the one you should pursue first–is the one that shares the longest piece of DNA. The new chromosome browser at MyHeritage is what they’re calling an “initial release” or first draft that “will be enhanced further soon.” It’s currently embedded in each of your individual match pages. That way, you can compare what areas of genetic material you and each of your matches have in common. I’ll be back soon with more tips and tutorials on getting the most out of the new MyHeritage chromosome browser. I just wanted to alert you that it’s there—one more valuable tool in the MyHeritage DNA matching toolbox. Gedmatch: A Next Step for Your Autosomal DNA Test. Gedmatch is a third‐party tool for use by genetic genealogists seeking to advance their knowledge of their autosomal DNA test. This guide navigates you through the myriad of options and point out only the best tools for your genetic genealogy research. Organizing Your DNA Matches. With millions of people now in the possession of a DNA test–and most with match lists in the thousands–many are wondering how to keep track of all this data and apply it to their family history. 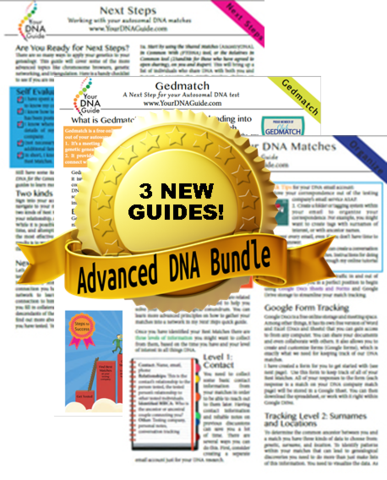 This guide provides the foundation for managing DNA matches and correspondence, and for working with forms, spreadsheets, and 3rd party tools. Next Steps: Working With Your Autosomal DNA Matches. 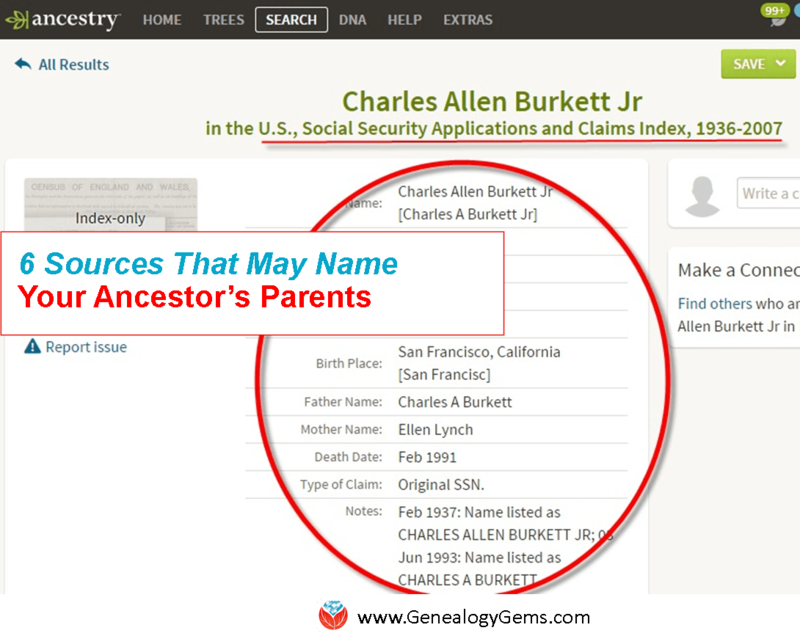 This guide outlines what to do next to maximize the power of DNA testing in genealogy. 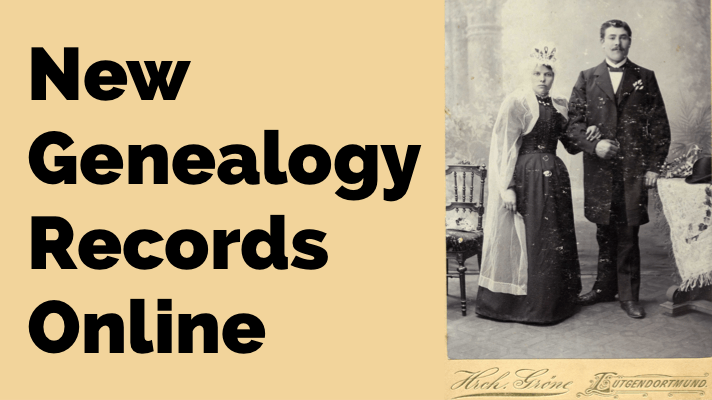 With this guide in hand, genealogists will be prepared to take their DNA testing experience to the next level and make new discoveries about their ancestors and heritage. If I have already tested with FTDNA (family finder) & uploaded results to MyHeritage, should I take the test again, with the MyHeritage company? I have a question. I uploaded my dna data and my parents to the My Heritage DNA site. The results were fairly similar to two other sites I have used (Ancestry and FamilytreeDNA) except for the last little piece, which came back as Nigeria for all three of us. We’ve not had this on any other site. And both hapologroups started in ancient European origins. So my question is, does this have more algorithms and base to compare or is this a default? 1. You get your physical DNA stored in more than one place. We certainly don’t know what the future will bring, and if one company develops a cool new test that requires retesting your DNA, it will be ready and waiting. 2. Transferring from FTDNA to MyHeritage doesn’t actually pose as much of a problem as transferring from Ancestry to MyHeritage. Because Ancestry uses a different set of DNA markers, MyHeritage (and FTDNA, when you transfer there from Ancestry) has to use math to fill in the gaps. While this process (called imputation) has proven to be effective, it is still math, and not biology, that is doing the matching. You are right in that each company has their own reference populations and statistics, so that you get different results from different places. It could be that the individuals representing Nigeria in the MyHeritage database fit more closely with your DNA than to those in the Ancestry database (FTDNA does not have a Nigeria category, but only broad African categories). In the end, it is impossible to know if one is more correct than the others. You may try uploading your DNA into Gedmatch, and using their array of admixture tools to get more opinions. They do have specifically African indexes that might be especially useful.